Clayton Dive club plans 3D Photogrammetry survey of “Maggie L” shipwreck located off village of Clayton. As an extension of the club "Wreck Buoy Program", the club is going start a program to do wreck site survey of local shipwrecks. Starting with the "Maggie L" off Clayton, the club is planning a series of dives this summer. 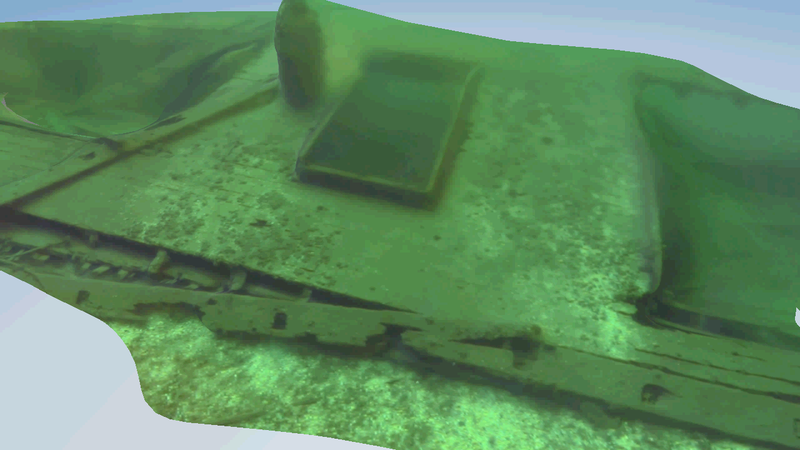 Then utilizing new open source software, underwater cameras and traditional non-contact survey techniques we plan to produce a site map of the wreck site. The goal of the summer project is to produce a detailed site plan to be hosted on the club web site for divers interested in visiting the site. It will also provide divers an opportunity to develop their shipwreck diving and survey skills. In the planning stage are a pre-dive seminar, 2 to 3 survey dives and after-summer project of producing a site plan. Keep posted more information to come. Please post on the "Clayton Diving Club" Facebook page or email Dive Clayton <diveclayton@gmail.com> if you have any questions. Photogrammetry is the science of making measurements from photographs. Photographs are inputted to photogrammetry and the output is typically a map, a drawing, a measurement, or a 3D model of some real-world object or scene.